Shortly after Kirsti and I had our life-changing brush with culinary violet on a trip to France several years ago, I was scouring the Internet in my never-ending quest for the perfect violet flavor when I came across Kusmi Violette tea. I had never heard of Kusmi, but as a regular tea drinker and newly-minted violet enthusiast, I immediately ordered a large canister. I was a little wary after the number of disappointments I’d had in my search for a true violet extract, but the contents of this tin did not let me down. 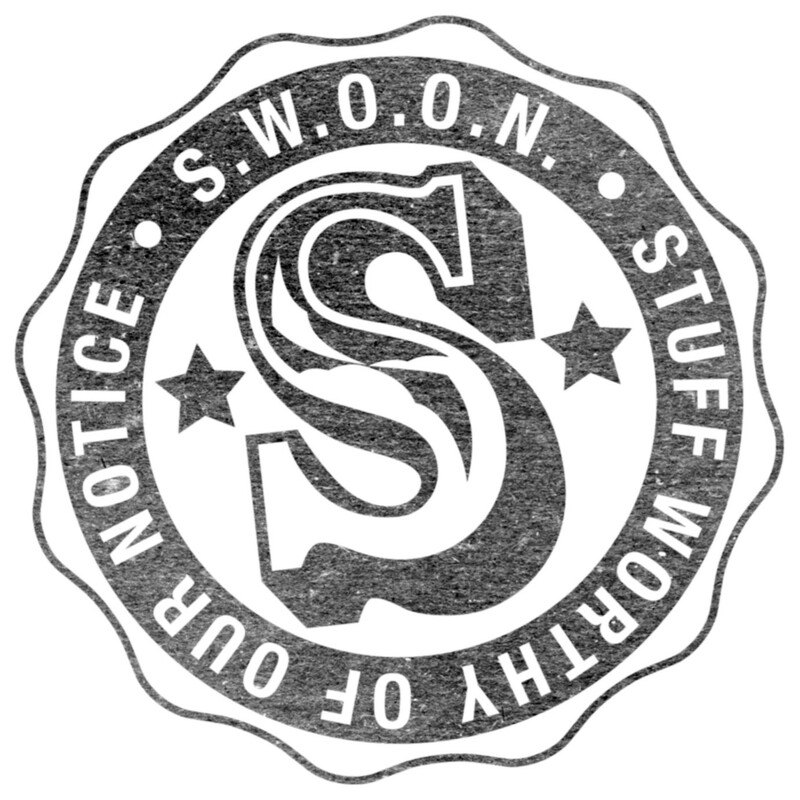 The floral scent is delicate beneath the robust aroma of black tea, but it smells and tastes like real violets. The brew instantly became my favorite and has remained so to this day. 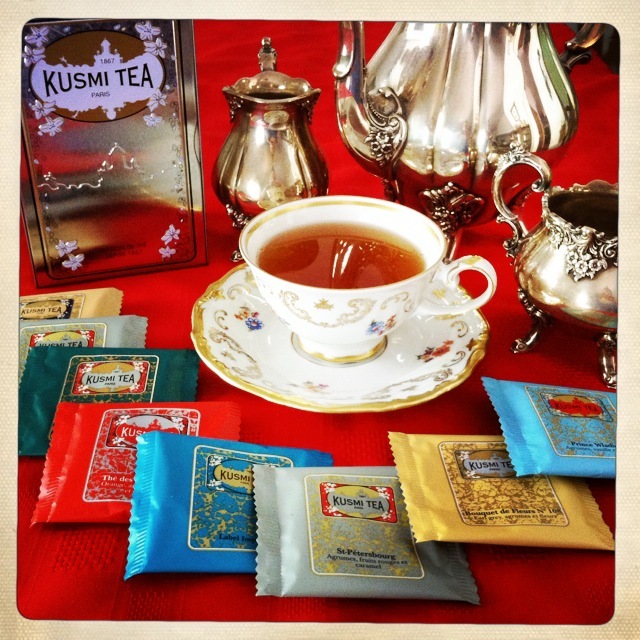 Based in Paris since 1917, the Kousmichoff company—shortened to Kusmi—was founded in St. Petersburg, Russia in 1867 and achieved success with its special tea blends, including one that became a favorite with the tsar. Even today, their gilded and vibrantly-colored packaging evokes the Baroque interiors of the Winter Palace and brings to mind steaming samovars and White Nights. 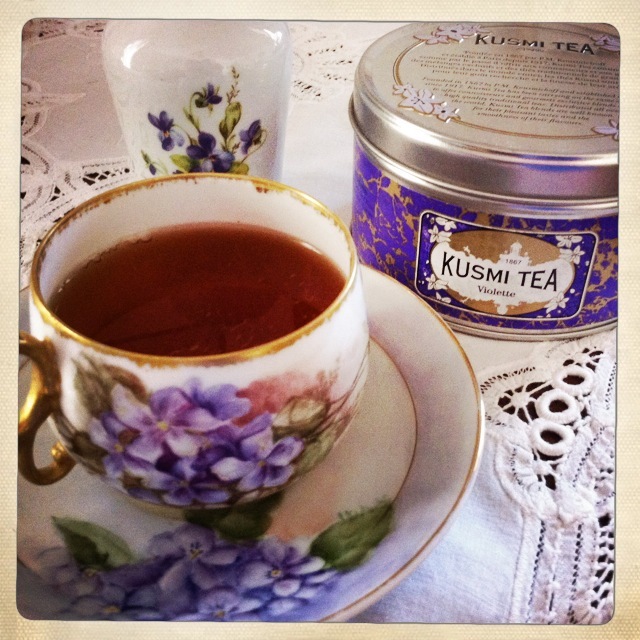 Knowing that Kusmi’s Violette tea wasn’t just a one-hit wonder, and having eight other tempting varieties on hand to sip and savor, I hope you’ll ‘sKusmi while I drink my tea. Kusmi teas are available in the States from the company’s U.S. website and can also be purchased at Amazon and a variety of online retailers. Beautiful tea, Beautiful teacup. A perfect pairing.